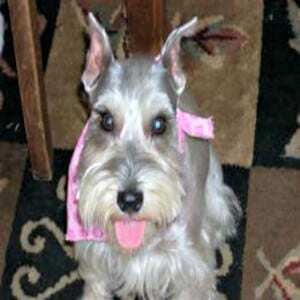 At Reberstein’s Miniature Schnauzers we prefer the cropped look for the miniature schnauzer’s ears. 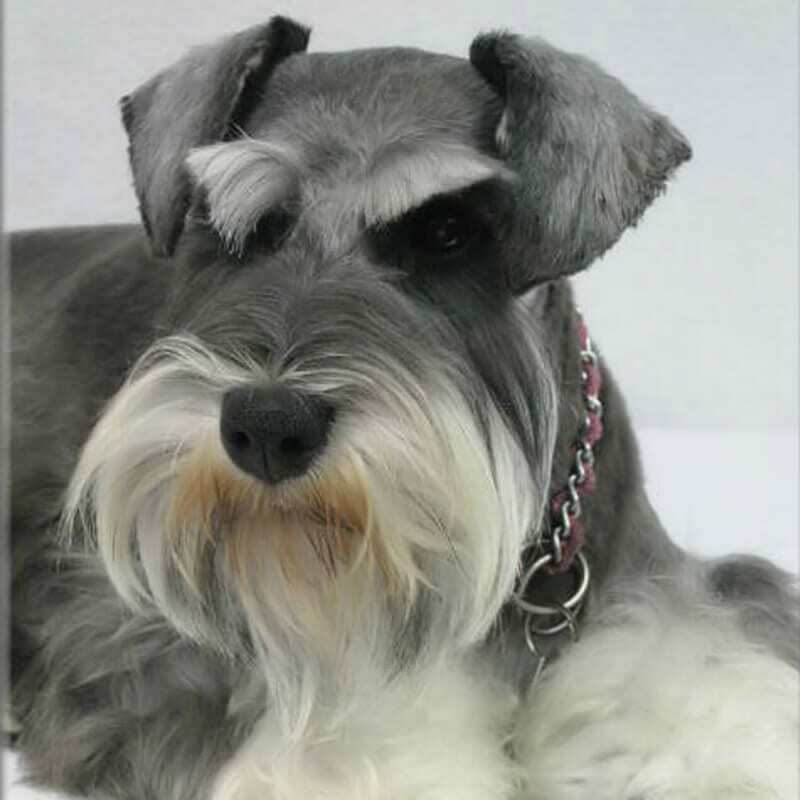 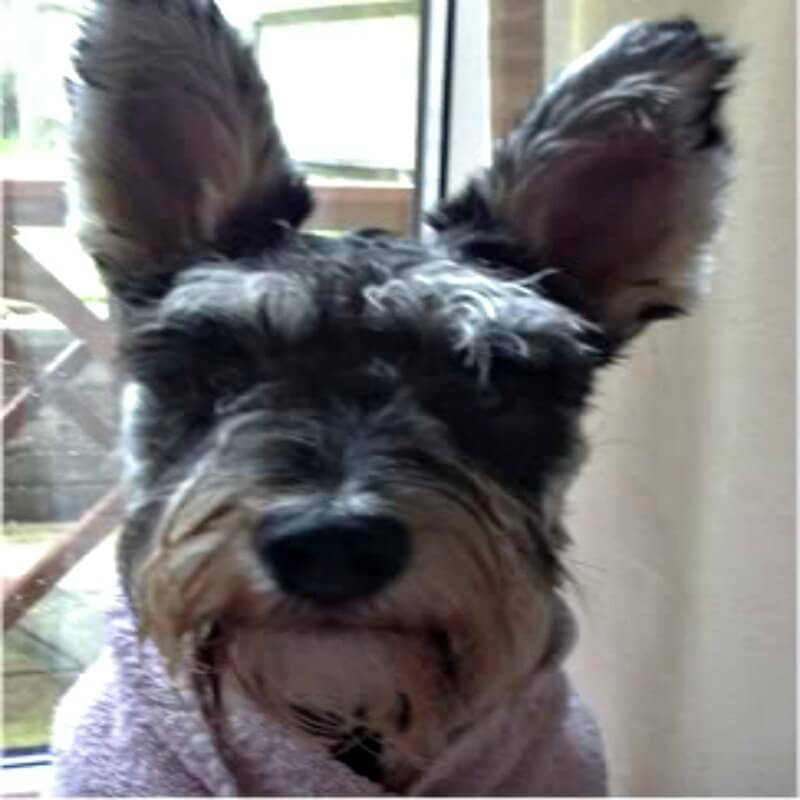 The cropped ear look provides for that timeless classic look of the Miniature Schnauzer. 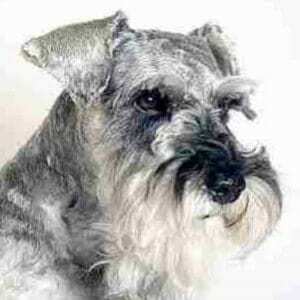 According to the miniature schnauzer breed standard the ears are supposed to be cropped. 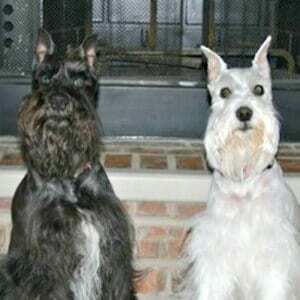 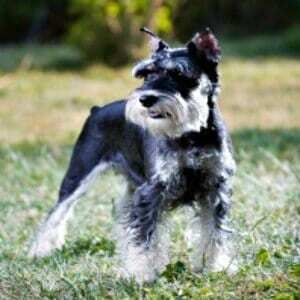 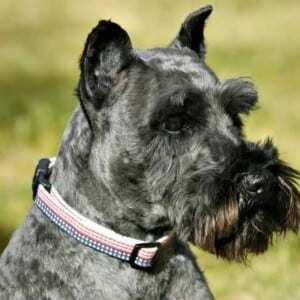 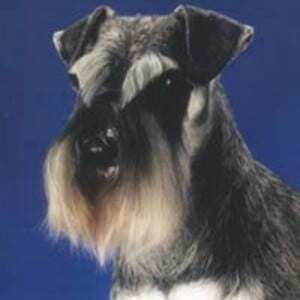 You can still show a miniature schnauzer with natural ears, but it is very hard to finish them to their championship. 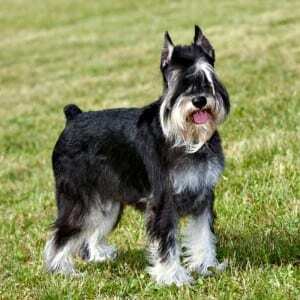 Most AKC miniature schnauzer show breeders prefer the cropped ear over the natural ear. 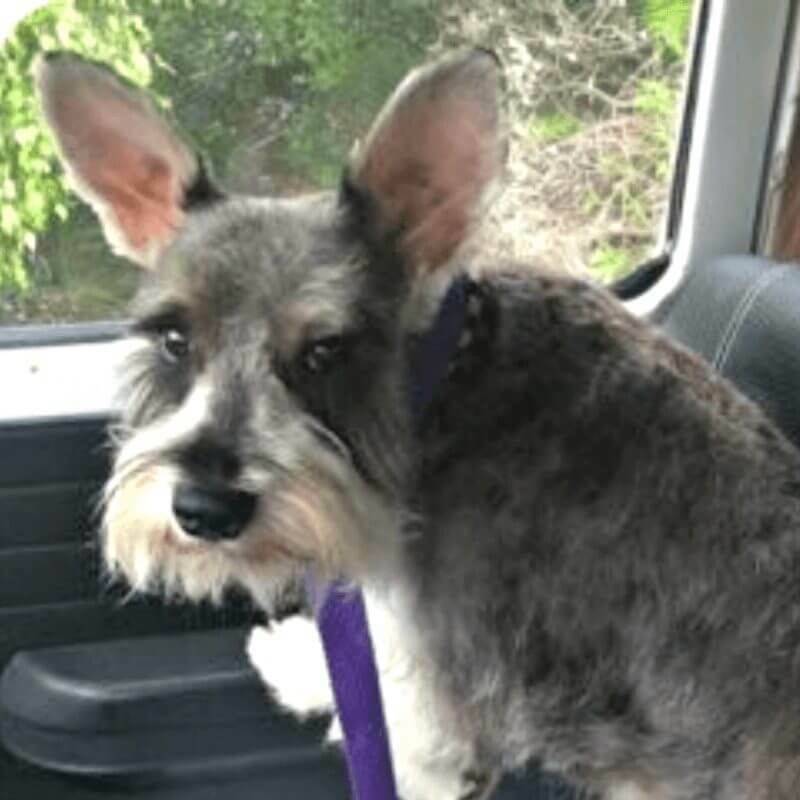 The cropped ear extenuates the beautiful head of the miniature schnauzer, while the natural ear can hide the beautiful head piece and expression. 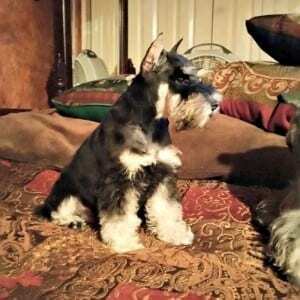 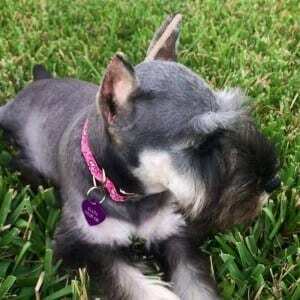 At Reberstein’s Miniature Schnauzers we always crop the miniature schnauzer’s ears at 10-12 weeks of age. We will however, leave the ears natural upon request from the new owner in advance. We just have to be notified by at least 9 weeks of the puppies age. If you do decide to leave your puppies ears natural, you can be assured that the ears will lay properly on your puppies head. 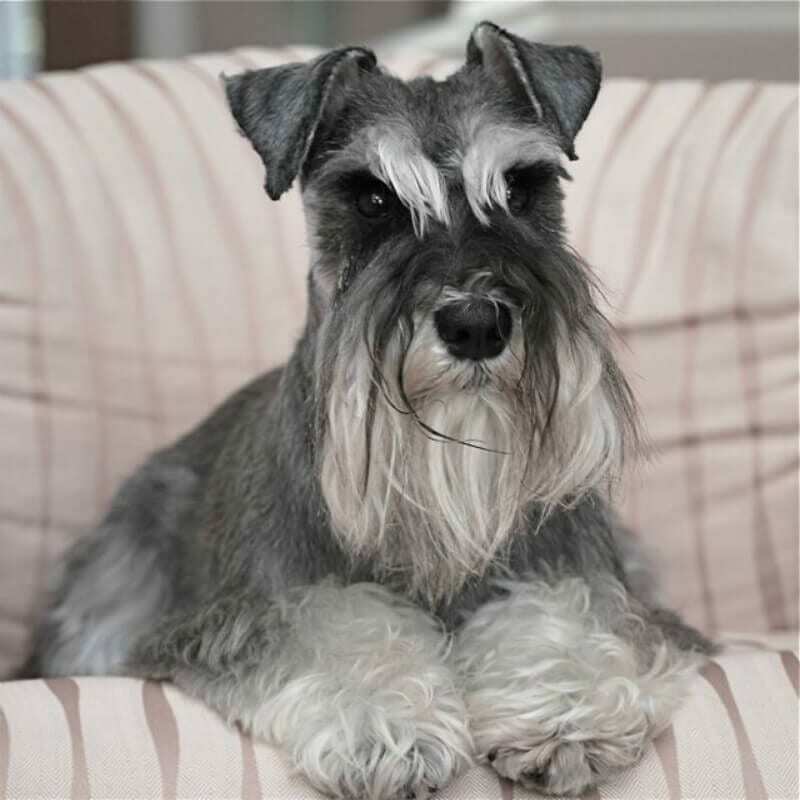 Many miniature schnauzer breeders will try to convince buyers that the natural ear is more humane to the puppy and that the cropping surgery is very painful. 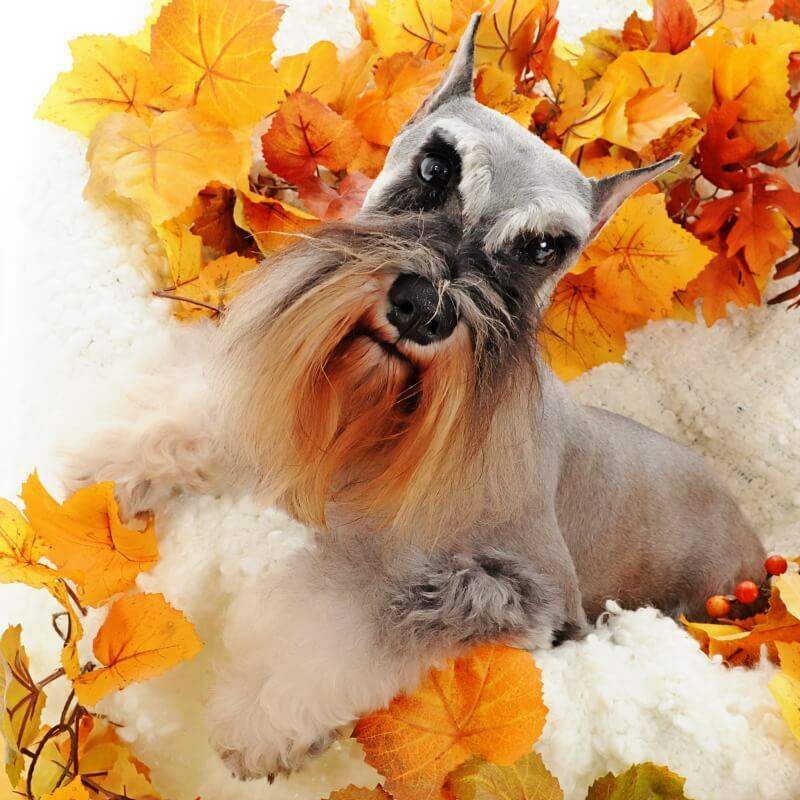 Nothing could be further from the truth, as the surgery is quite painless and the healing time is minimal. 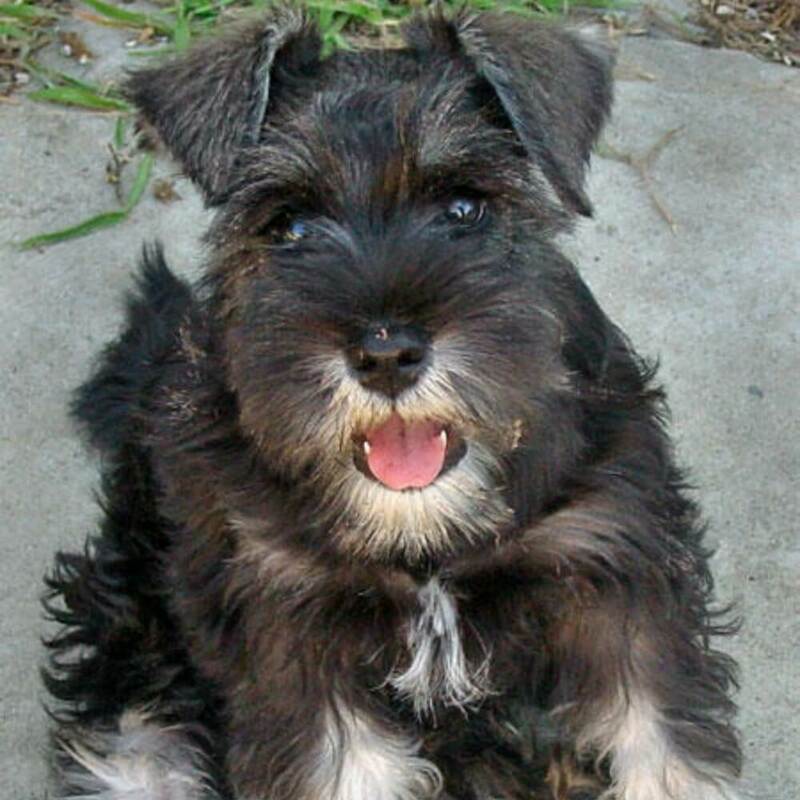 If the surgery caused pain and was detrimental to the miniature schnauzer puppies health and well-being, we would immediately stop performing ear crops. 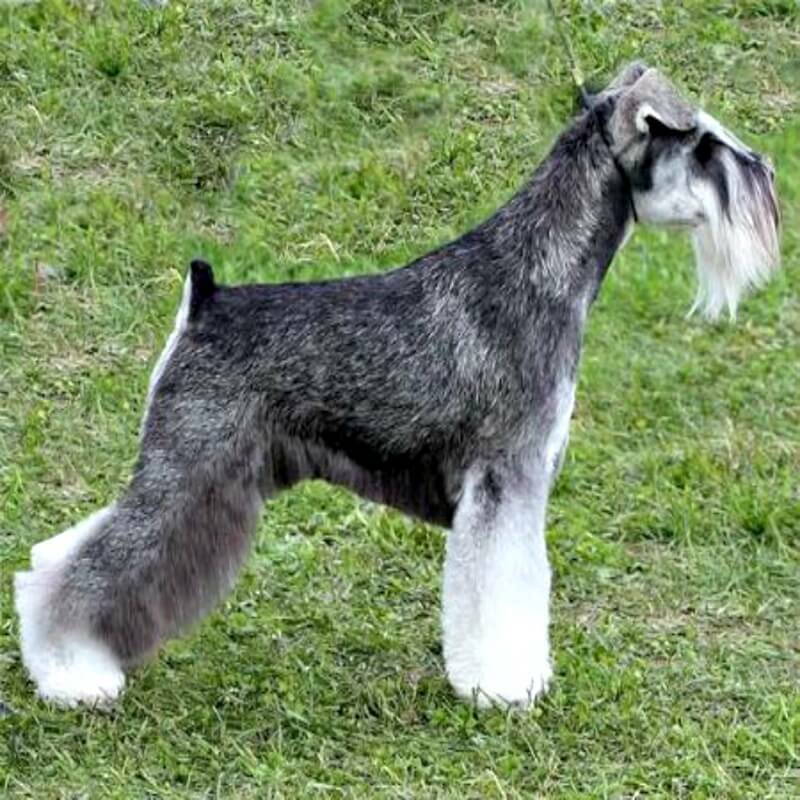 I firmly believe that the push for natural ears is coming from so called backyard breeders, who do not wish to go through the expense and effort of cropping their miniature puppies ears. 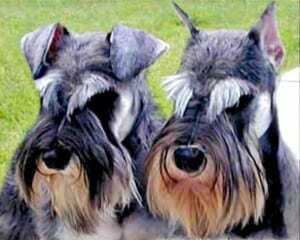 Cropping the miniature schnauzer ears is expensive and this expense cuts into the profits of the backyard breeder’s puppy sales, which is why they protest against it and recommend natural ears. 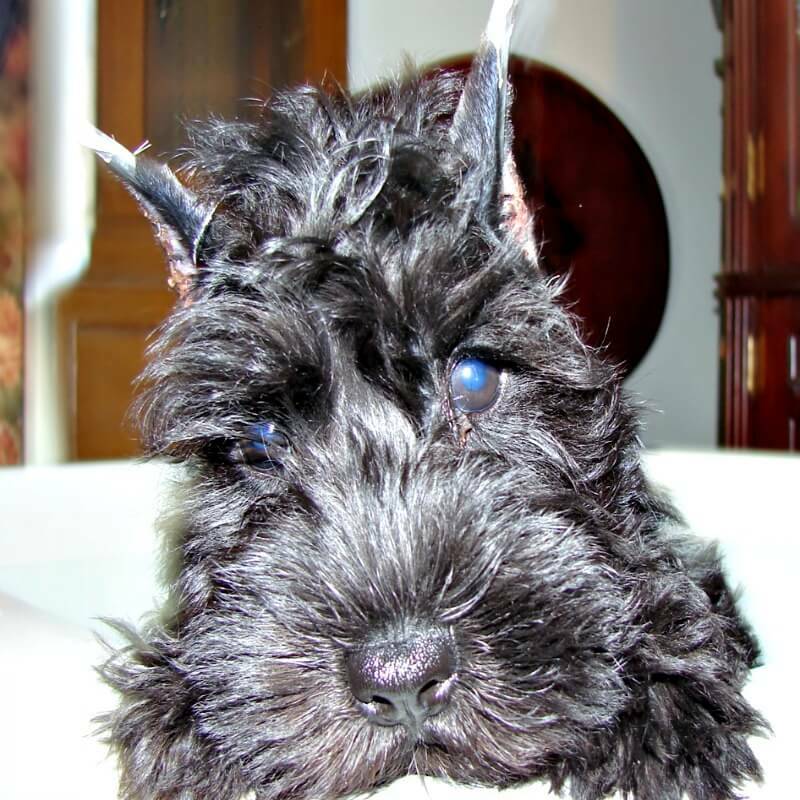 The cropped ear or natural ear is a personal choice of preference, but do not try to justify your preference by spreading misleading facts and statements about the cropped ear. 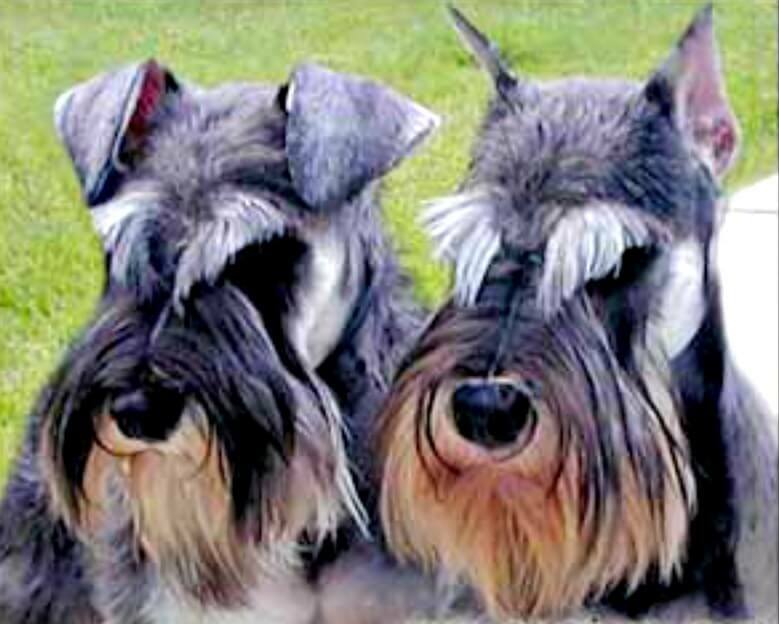 Cropping is an art, and you MUST use a vet who is properly trained in shaping the ear to each puppies head measurements. At Reberstein’s Miniature Schnauzers we only use the most qualified expert veterinarian for our ear crops, which is why our puppies ears look the very best. Natural Or Cropped Ears For Your Miniature Schnauzer Puppy? 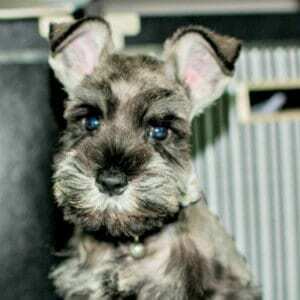 Either choice for your new puppy is perfectly acceptable. 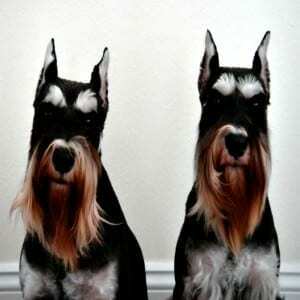 The choice should be your personal preference and not influenced by misleading and false information. 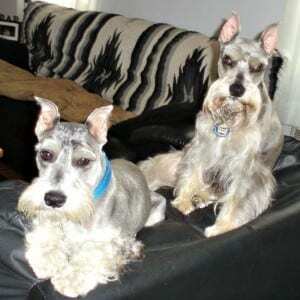 Whether you want cropped or natural ears; both require professional expertise from the breeder. 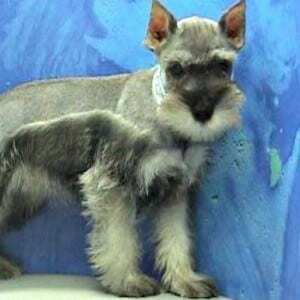 Leaving the ears natural on your new miniature schnauzer puppy will provide for what some call a more softer facial puppy expression. 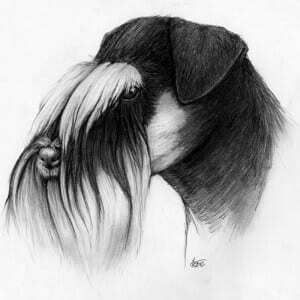 However, in some lines of lineage you will find that some puppies are predisposed to having natural ears that stand. This look is called a “bat ear” and is very undesirable. 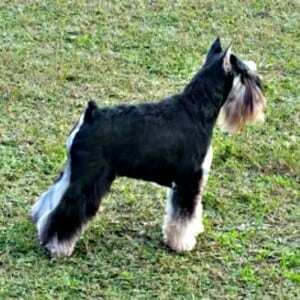 In reputable lines of lineage you will not find this characteristic. With this said, not all natural ears are created equal and some require more attention than others. 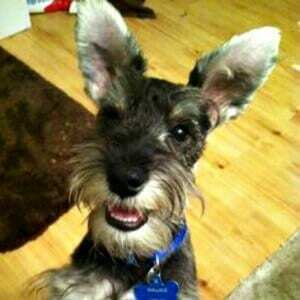 At Reberstein’s Miniature Schnauzers all of our puppies go to their new forever homes with correct ears. 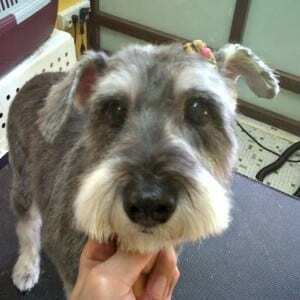 Natural ears may sometimes need to be glued to lay and fold correctly over the head. 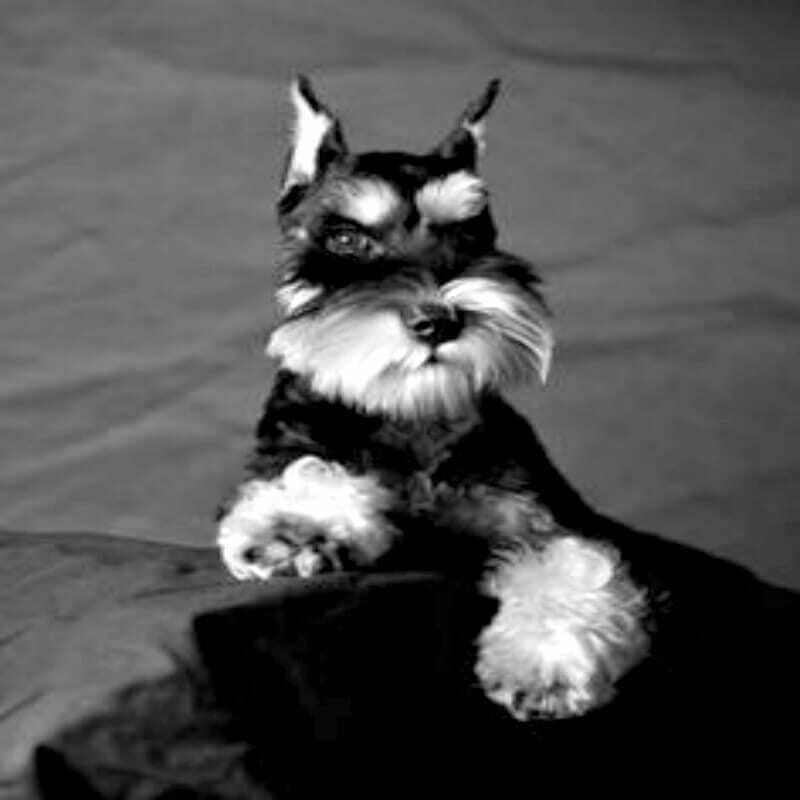 This requires expertise that many miniature schnauzer breeders just don’t have. 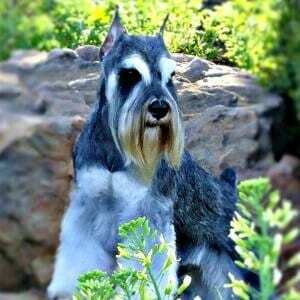 Because of this lack of knowledge, you see a lot of miniature schnauzers with undesirable ears. Cropping the ears provides for that timeless “classic” look that the miniature schnauzer is known for. 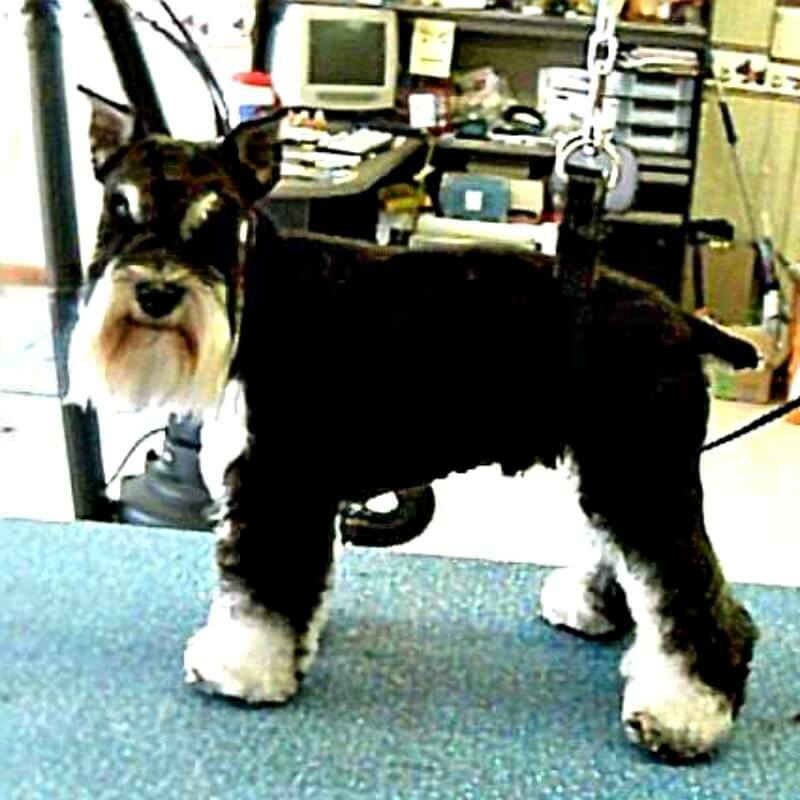 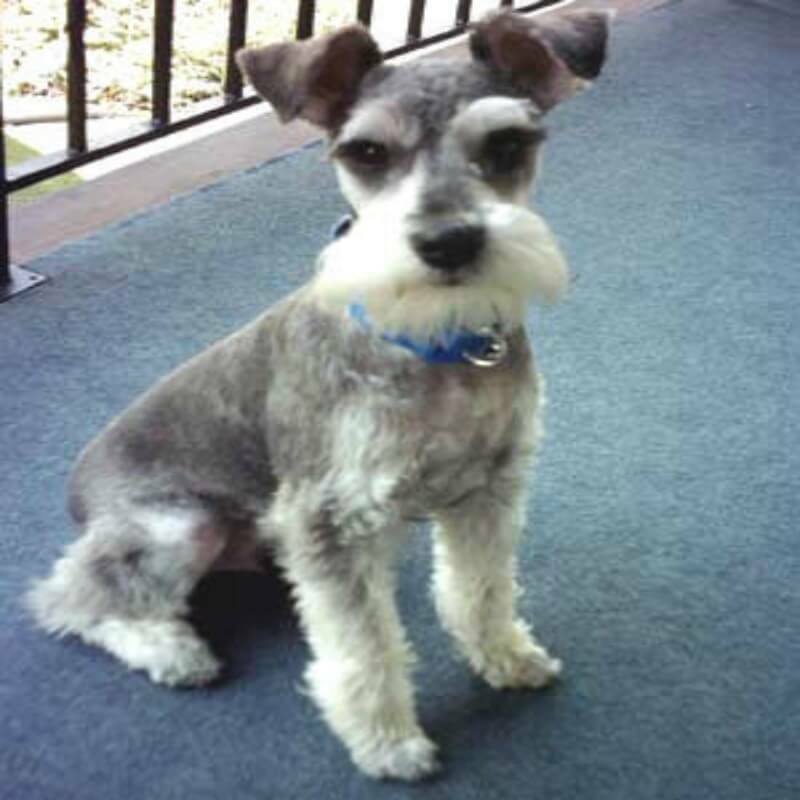 Some say that this appearance makes the miniature schnauzer look more distinguished and striking. 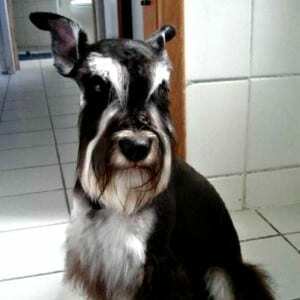 However, done incorrectly and you will have a not so distinguished look on your miniature schnauzer. 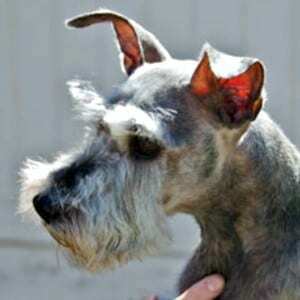 Not all ear crops are created equal and it is imperative that a trained licensed veterinarian perform the surgery. 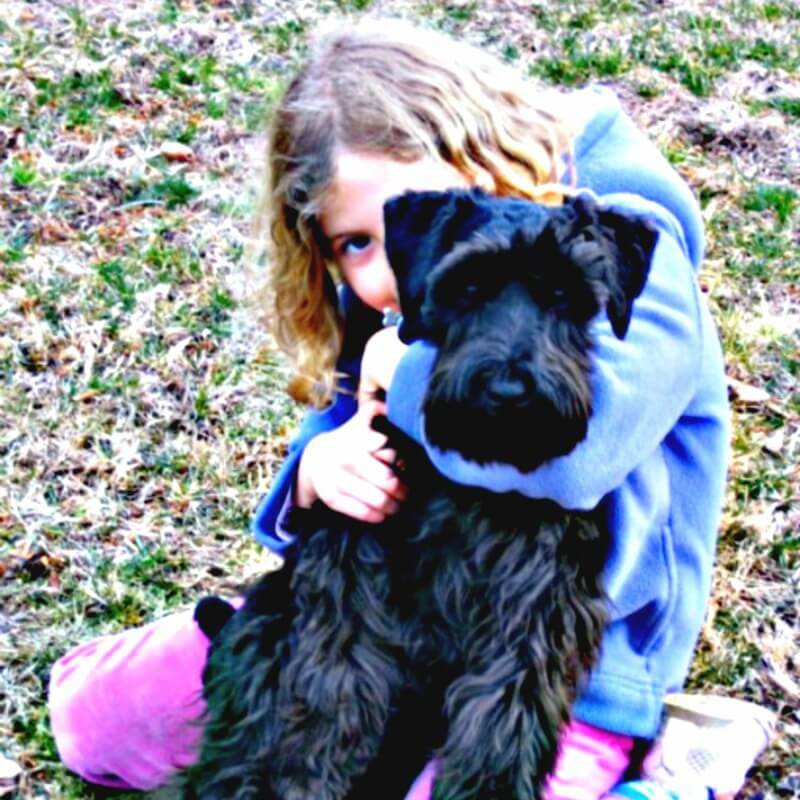 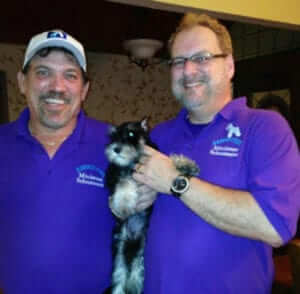 At Reberstein’s Miniature Schnauzers we ONLY use Dr Paula Steele at Murray County Animal Hospital located in Chatsworth Georgia. Dr Paula Steele is the absolute best and I would not entrust my miniature schnauzer ears to anybody else. Paula is also a distinguished miniature schnauzer breeder and sincerely loves the breed.